There is a known issue with some Nokia Lumia devices (like Lumia 920), such that after an OTA update or if you Reset your phone, the device gets stuck at spinning gears screen. Nokia is aware of this bug and has posted some simple workarounds too, like doing a force reboot or hard reset the device to bring it back in working condition. 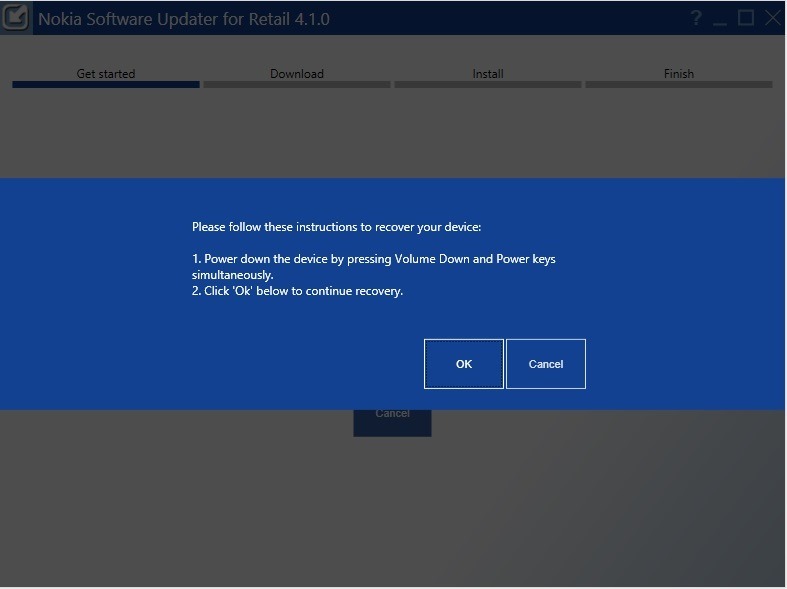 If your device is in similar situation, then you should always try the below workarounds first and if nothing works then try flashing the firmware using Nokia Software Updater for Retail. Force Restart / Soft Reset Lumia phone: Press and hold the power and volume down key until the phone vibrates. After this the phone should start up normally. Note: Resetting your phone will return it to the factory state and all your personal data in the phone storage will be erased. Follow these steps to perform OS reset with the phone keys. Step 1 – Press and hold power and volume down key until the phone vibrates (release the keys). Then press and hold the volume down key, if succeed an exclamation mark (!) is shown on the screen (release the volume down key). Step 3 – The phone will reset and boot up automatically. This may take several minutes. 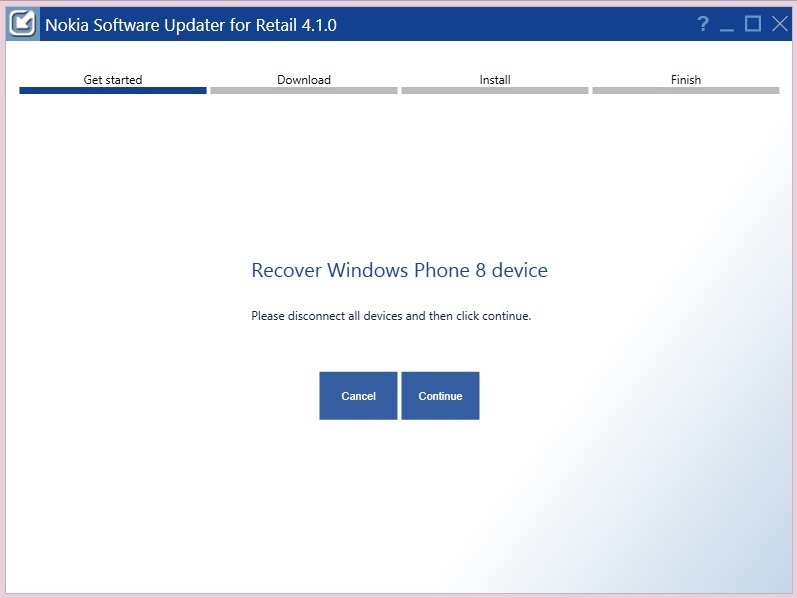 If the above workarounds don’t resolve your problem, then try using the “Nokia Software Updater for Retail 4.1.0?. 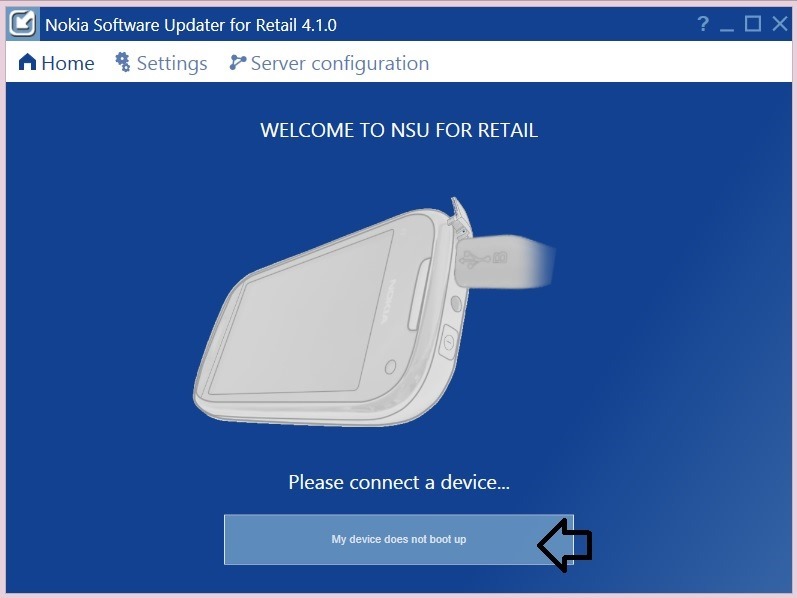 This updated NSU with an added option “My device does not boot up.” allows you to easily flash the stock firmware on your smartphone and fix it. However, this is a leaked software and Nokia hasn’t made it available to the general public. Warning: This may void your warranty, so try at your OWN risk! The process will also factory reset your device. 1. Run NSU 4.1.0 and click on ‘My device does not boot up’ option. 2. Now that your phone is stuck on spinning cogs, Connect the phone and click continue. (The suite says to disconnect, but it’s okay to connect it). 3. Wait for the device connection screen to appear. Thank you very much for the software. My Nokia 920 was stuck on spinning gears for two days and tried all other resets possible and nothing worked until I used this software and it worked perfectly.